Samsung Galaxy Note 9 is a phone that has aged very well still being on oar with even the most recently launched flagships. 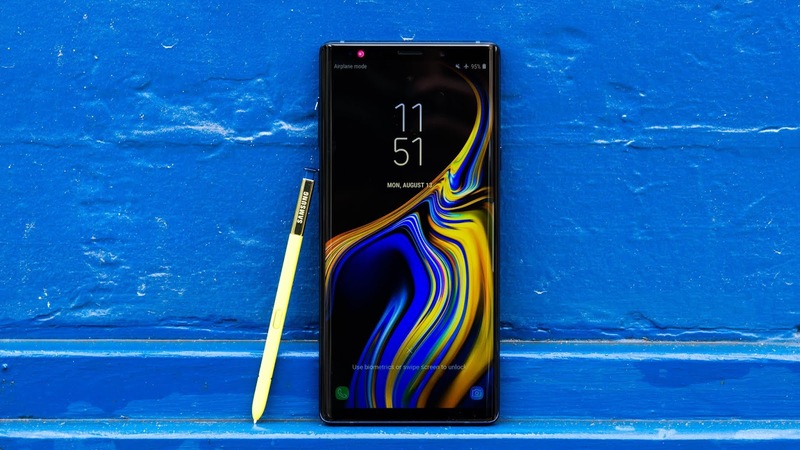 The Samsung Galaxy Note 9 built on predecessor the Note 8. Samsung retouched the note 8's design to achieve the beauty that is the Galaxy Note 9. The front top and down bezels were pushed further to make for more screen real estate. The Galaxy Note 9 internals are great. Some are even better that necessary. All these in a bid to make its user experience as buttery as possible which it is. The Note 9 is still very responsive and speedy in launching apps and taking pictures. In terms of basic specs, it runs on Android 9 pie with samsung's new OneUI ski. 6.4-inch Super AMOLED 2960x1440 (18.5:9) Display, Qualcomm Snapdragon 845 processor, 128 storage Expandable MicroSD up to 2TB, 6 RAM, 12MP Primary rear camera with Super Speed Dual Pixel, OIS, f/1.5 or f/2.4, 12 MP telephoto lens Secondary rear camera with OIS, f/2.4, 8MP f/1.7 Front camera with auto focus, Wi-Fi 802.11ac MIMO, 1.2Gbps (Cat-18) LTE, Bluetooth 5.0, NFC, GPS, Glonass, Stereo speakers, 3.5mm headphone, 4000mAh non removable Battery, Quick Charge 2.0, Fast Wireless Charging (15W), IP68 Water and dust resistance, One-touch fingerprint sensor, Iris scanner, Samsung KNOX, 161.9 x 76.4 x 8.8 mm, 201g, available in Ocean Blue, Lavender Purple (U.S.) Midnight Black, Metallic Copper (intl). Samsung made a great phone as always. The Galaxy Note 9 overall is a productive smooth and beautiful handset.